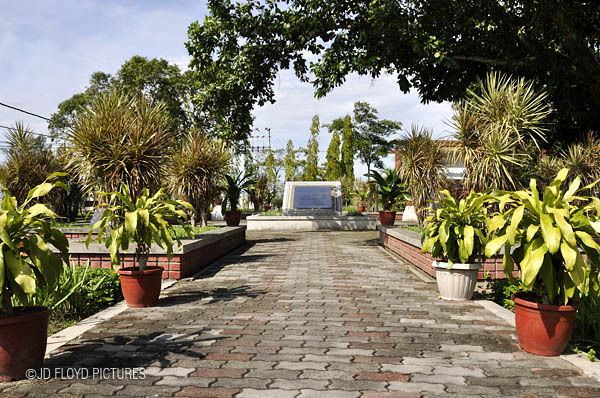 Hari Pahlawan (Heroes' Day) is the day we remember the sacrifices that our military men has made to make our nation what it is today. 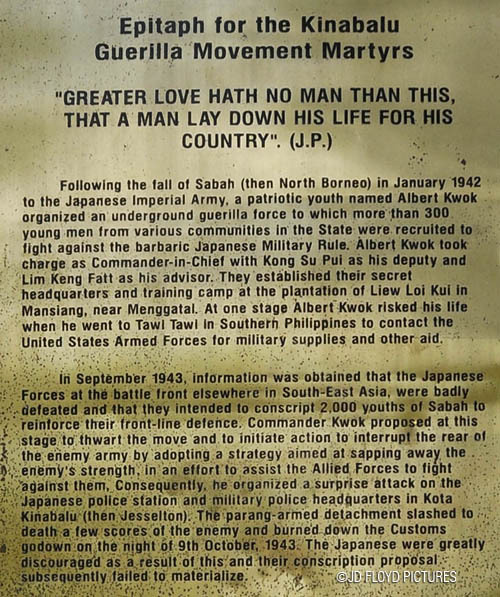 The Malaysian armed forces fought against the guerrilla communist in the early years of independence, together with many others - we remember today as unsung heroes - in our struggle against the communist terrorist. 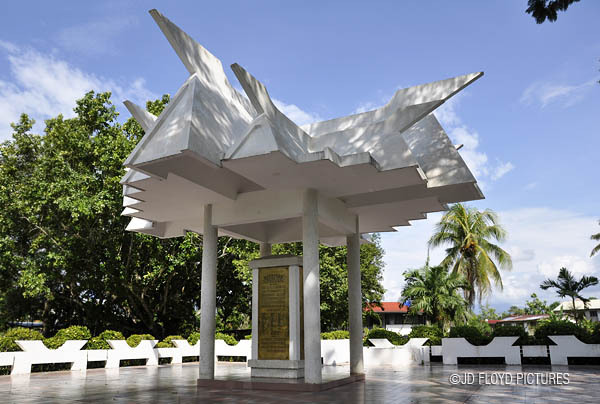 In conjunction with the Heroes' Day on July 31, 2013, I have some pictures of one of the war memorials (taken sometime back) located in Petagas, Sabah, where Sabah government and the descendants of the fallen heroes hold a memorial ceremony every year. One of the plaques. 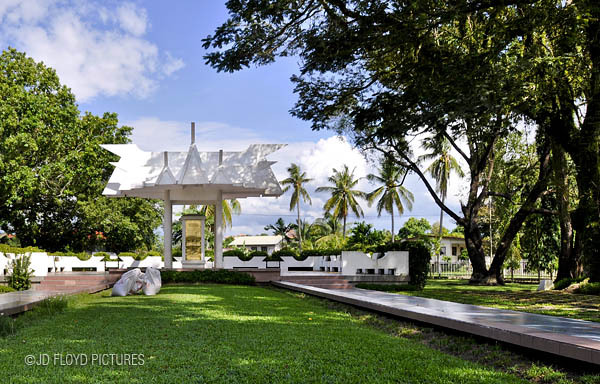 Make a visit and read for yourself. 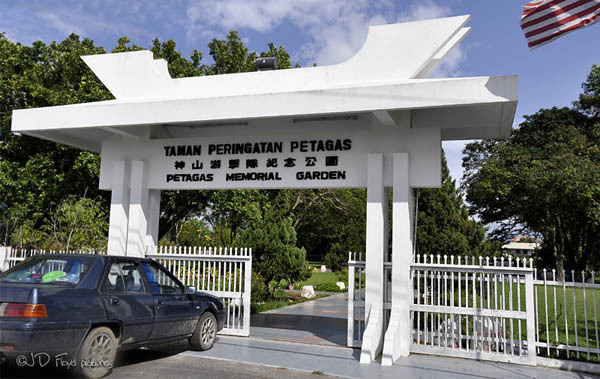 You can also read about Petagas War Memorial, and other memorials in Sabah here. very interesting. I knew about Albert Kwuok from History lessons in school a long time ago. Our teacher must have been a good narrator as I never quite forgot about Albert Kwok though most of the details have been swallowed by the mist of time. Must read it again. Unfortunately, this piece of history is not included in any of the school syllabus.